Why not the London TAXI ? Specifically speaking, it's now German. I Got More Horsepower Dude ! For the first in a 173 year event for Tokyo, I decided to give my first solar photography a try. With clouds passing by and covering up the sun periodiaclly, it was difficult to control the exposure through the whole shoot. I guess I did okay though. The photo set below. 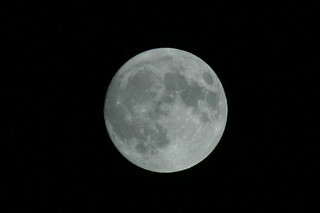 May 5 is said to be a day of the "Super-Moon", so I took some shots at it from my balcony. Here's the best shot, with a little re-touching done. The original, uploaded to Flickr. Two weeks before Golden Week, some of Cycle Tokyo! members went out riding along the Tone River located north of Tokyo, started from Kurihashi and headed for Takasaki City, Gunma Prefecture. A one way ride just around 90Km total, was a very smooth one thanks to light follow wind. We packed our bikes and took them on the train to Kurihashi, and on the way back home from Takasaki. Since my last posting in 2008, I had been focusing my English blogging activity on Cycle Tokyo!. I will also admit that my primary means of communicating on the internet has been on Facebook. Thus, my Japanese blog has been lagging as well. During the rainy days of golden Week, I went ahead and updated my weblog system (Movable Type) for the first time in 2years. (Should have done so long ago, as there security issues that were addressed) This update gave me a chance to clean up the system and get the blogs back "online". The English blog did have some issues with article posting not going well, which had also decreased my motivation. With this done, I have decided to reactivate this blog and resume posting articles once in a while. Living Abroad In Japan is a really nice book about everyday life, travel and culture in Japan. Just about everything you'll want to know (and need to know) about Japanese life. In addition to detailed and up-to-date (second edition, published September 2008 !) information about life in Japan, the book gives the reader a very good veiw of all parts of Japan by covering all regions of Japan. A great read whether you're planning a trip to Japan, or you're just dreaming about one ! The book recommends bicycles as a very good transportaion method, and mentions Cycle Tokyo! as a good resource for Tokyo biking information. Guess what... the book is written by Ruthy Kanagy, our Bike Friday advisor ! :-) Since she has experience living in Japan herself, the book is really down to earth in terms of living information. A good map to Tokyo with all locations in English and Japanese.